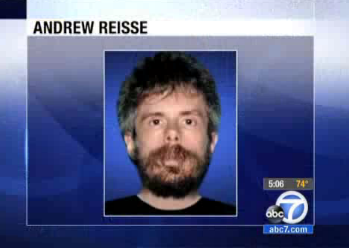 Andrew Scott Reisse was killed Thursday afternoon in a Santa Ana, California police incident. Andrew Scott Reisse, co-founder of the Oculus VR company that designs the Kickstarted VR headset, has died in Santa Ana, California. He was involved in a police incident, in which three suspects driving away from an officer-involved shooting ran Reisse down as he was crossing the street. He was pronounced dead at the scene. Reisse was 33 years old, and had moved to California a year ago. "Andrew's contributions span far and wide in the video game industry," Oculus said in a statement. "His code is embedded in thousands of games played by millions of people around the world. Words can not express how sorely he will be missed or how deeply our sympathy runs for his family." The incident occurred when police became involved in a confrontation with four men, alleged to have been involved in criminal activity. The suspects escaped the scene in a Dodge Charger, which stopped to let one of the combatants escape on foot. That man was shot and killed by police. The remaining three drove away from the scene and became involved in a 20-minute chase, which ended when Reisse was run down and killed. Santa Ana police have identified the men as gang members with outstanding warrants for their arrest. The suspects in the Charger have been taken into custody. Oculus Rift caught the world's attention when its Kickstarter, aiming to raise a quarter million dollars, raised nearly ten times that amount. The VR headset has yet to see commercial release; developer kits have already gone out, and there's been all kinds of talk as to what the headset may offer. Deepest condolences go out to the family, friends and co-workers of Andrew Scott Reisse at this difficult time.